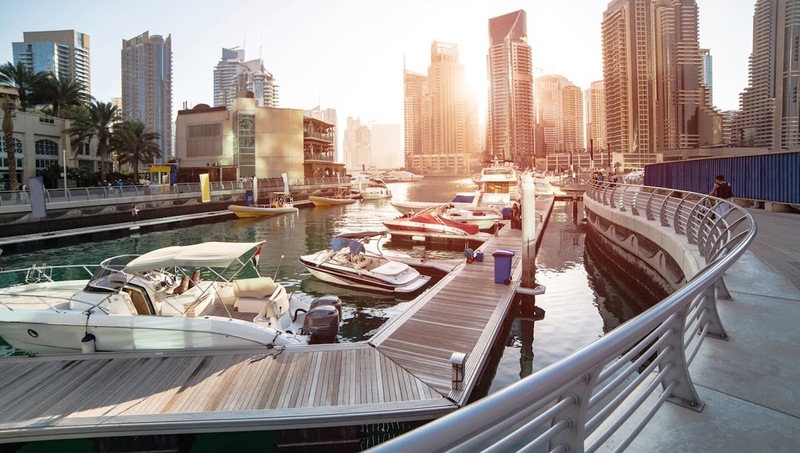 Unlike anywhere in the Middle East, the Dubai Marina is a district where you can purchase all of life’s pleasures. Upon the development’s completion, it will be the greatest man-made marina in the world with a two mile long waterfront. 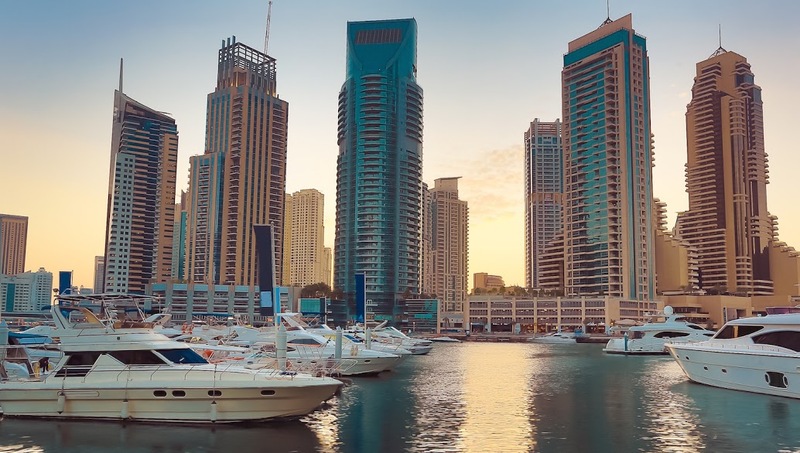 There are various boutiques and high end storefronts scattered along the marina, but you can find all the brands you can think of concentrated in the überglam Dubai Marina Mall. 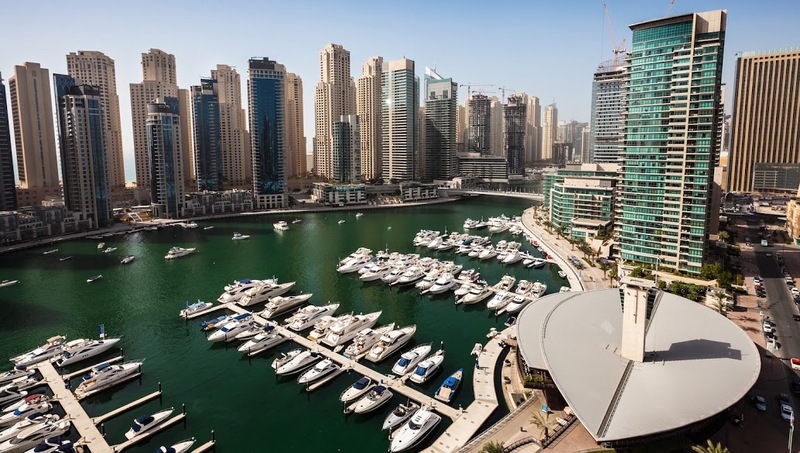 "Real estate is the business that created the Dubai Marina, so expect some of the finest -- and tallest -- hotels in the world. 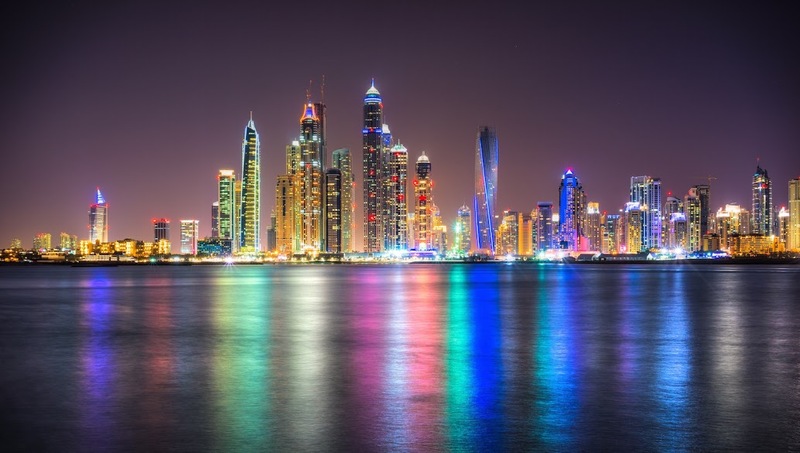 Whether you fancy 5-star filet mignon, seafood on a cruiseship, Indian or Italian fare, the Dubai Marina has restaurants and cafes for everyone. There are a variety of boat tours and relaxing cruises available along the Persian Gulf shore. Admiring the other fancy yachts and speedboats is half the fun. Be sure to check out the tallest block on the western side that includes the famed Princess Tower, the tallest residential building in the world. You can’t miss it! Take a monorail off the shore and find yourself on a series of artificial archipelagos with each one shaped like a palm leaf. 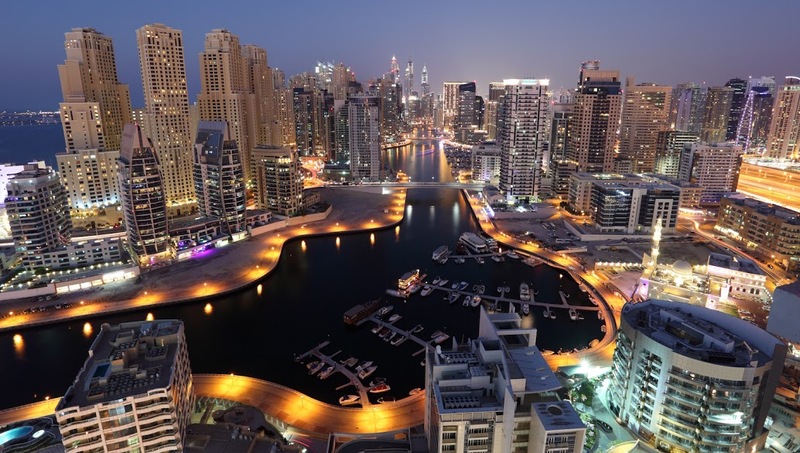 The Dubai Marina Mall hours are Sat - Wed: 10AM - 10PM and Thurs - Fri: 10AM - Midnight. Free to look, more expensive to shop! A tour of the Marina is definitely worth your while and a dinner cruise too! Though it may look like Las Vegas, the culture is very different! Dress modestly and refrain from public displays of affection. Easy to book, easy to find ... you can stop where you want... there's a bus every 20 minutes .. ideal to have a quick look of the city .. I loved it .. Fantastic wish I’d chosen the longer tour! Lots of fun - Bon and Ronald were great hosts - they made us laugh whilst filling us in on all the important facts and figures! Such great photo opportunities too! We loved it!